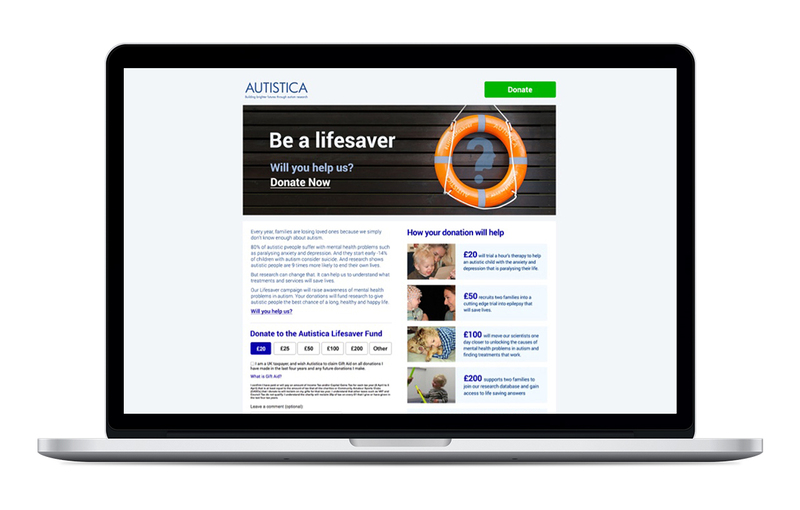 Autistica are a leading autism research charity. Their latest campaign was to raise awareness of the high numbers of early death in those with autism. Brief: to update and refresh the campaign fundraising page with the ultimate objective to drive more donations. The client had some new copy and wanted to include a Twitter embed on the page. 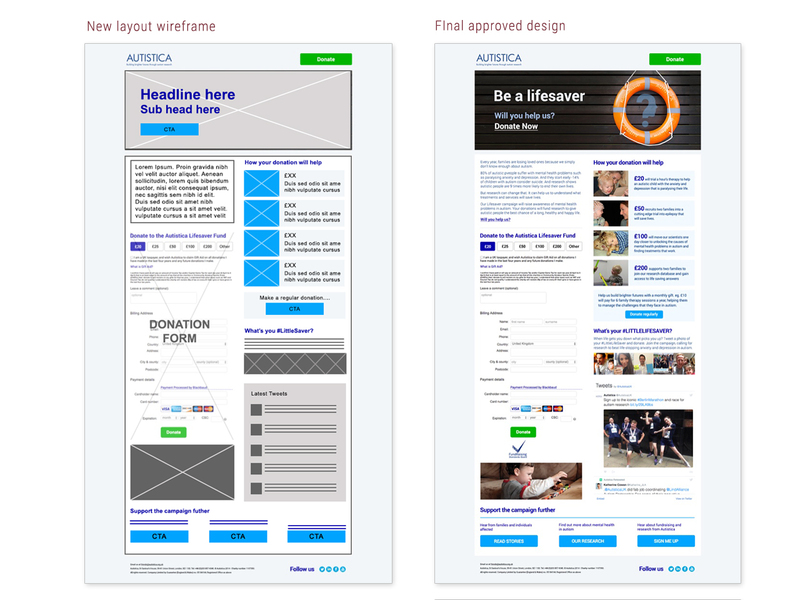 As the timescale and budget were limited the overall structure of the page (including the current form layout) had to remain the same. 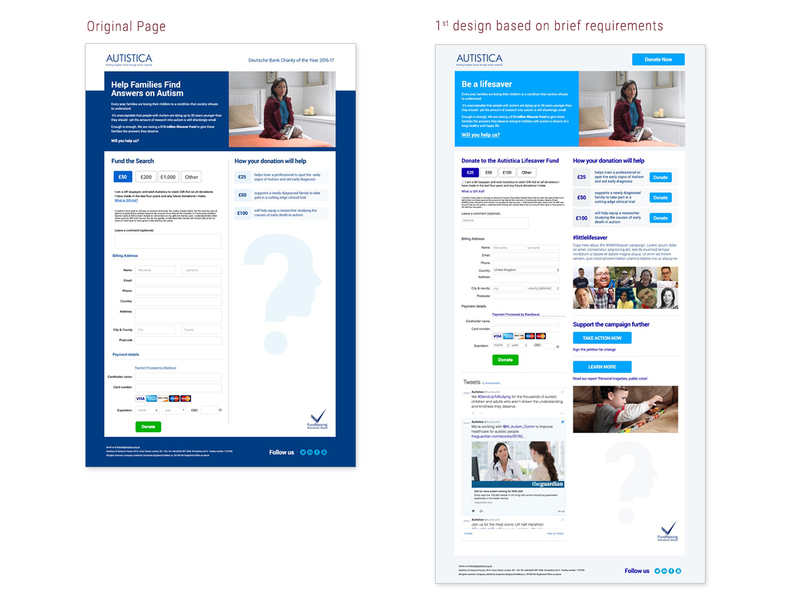 The first phase was to quickly re-design the page based on the clients requirements. I felt that with a bit more time I could re-work the layout of the page and certain sections the page could work better. Below is the new design and UI that I proposed that the client went with.